Psychologist Chicago: Considering Medication to Improve Your Mental Health? 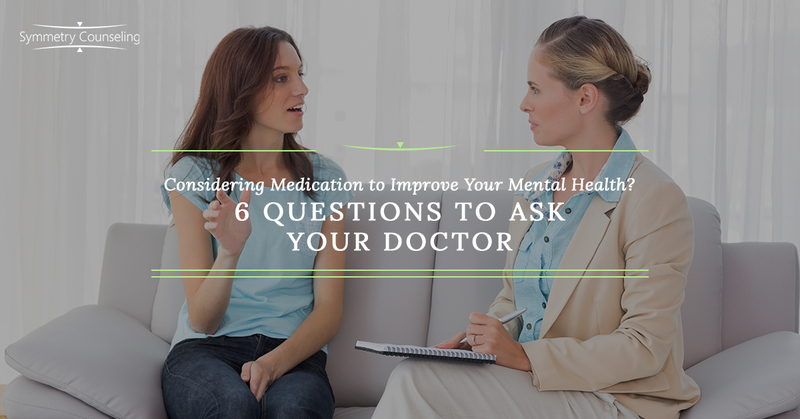 If you’re considering medication to improve your mental health, it’s vital to get comprehensive information from your doctor. Some people prefer to search the internet for medical information. In this case, that would be a mistake. The material you find online might not be accurate, and much of it might not apply to your specific needs. When prescribing medication, your doctor takes into account factors such as your medical history, your genetics, and your lifestyle. Discussing medications with your doctor gives you the best chance to get accurate and individualized data. 1. How long does this medication take to work? There are many types of mental health medications—antidepressants, anti-anxiety medications, mood stabilizers, and stimulants, to name a few. Some medications, such as stimulants, might have a noticeable impact after 30 minutes, while others, such as antidepressants, can take weeks or months of consistent use before they have an impact. 2. What dosage will I need? Doctors will often begin by prescribing a minimal dose of a new medication with a plan to increase the dose if needed. Ask your doctor about specific time frames with regard to dosage: How long do you want me to take the 5 mg dose before you’ll assess whether it’s working? 3. What are the side effects? You need to know what experiences other people have reported when taking particular medications. This can help you and your doctor decide which medication you should try. Let your doctor know if there are certain side effects that you especially wish to avoid. The National Institute of Mental Health (NIMH) reports that common side effects of anti-anxiety medications are nausea, blurred vision, headache, confusion, tiredness, and nightmares. You also need to know of any dangerous side effects. For example, the NIMH reports that antidepressants can cause you to experience suicidal thoughts and mood stabilizers can cause seizures and blackouts. 4. What behaviors do I need to avoid while taking this medication? Certain actions can interfere with the effectiveness of certain medications or can be dangerous when combined with medication. Some of these limitations are identified on prescriptions bottles, such as “This drug may impair the ability to drive or operate machinery.” But not everything will be labeled. For example, the Mayo Clinic reports that monoamine oxidase inhibitors (MAOIs) are antidepressants that cannot be mixed with some types of alcohol because of the risk of a dangerous spike in blood pressure. It’s a good idea to ask your doctor about any important restrictions before you decide on a medication. 5. How long does it take to wean off of this medication? When you’re considering making a commitment to try a medication, you need to know how to safely stop using it if it isn’t right for you. Some medications can be stopped in a period of a couple of weeks, while others may take months of gradual reduction to safely stop. The FDA reports that abruptly stopping use of SSRIs and SNRIs—serotonin and norepinephrine reuptake inhibitors—can lead to sensory disturbances, anxiety, confusion, and hypomania. 6. Do you have any additional treatment recommendations? Doctors may suggest that you participate in other types of treatment, such as mental health therapy and physical therapy, in addition to medication. If your doctor recommends mental health therapy, consider contacting Symmetry Counseling to schedule an appointment with one of our knowledgeable counselors. If you’re considering medication to improve your mental health, it’s vital that you talk to your doctor and get comprehensive information tailored to your particular situation to help you make your decision.